The Hyundai Elantra for 2017. A fluid, aerodynamic design with weight saving innovations help to deliver up to 38MPG highway. A spacious interior (97 cubic feet) filled with exceptional comfort, safety, and conveniences. 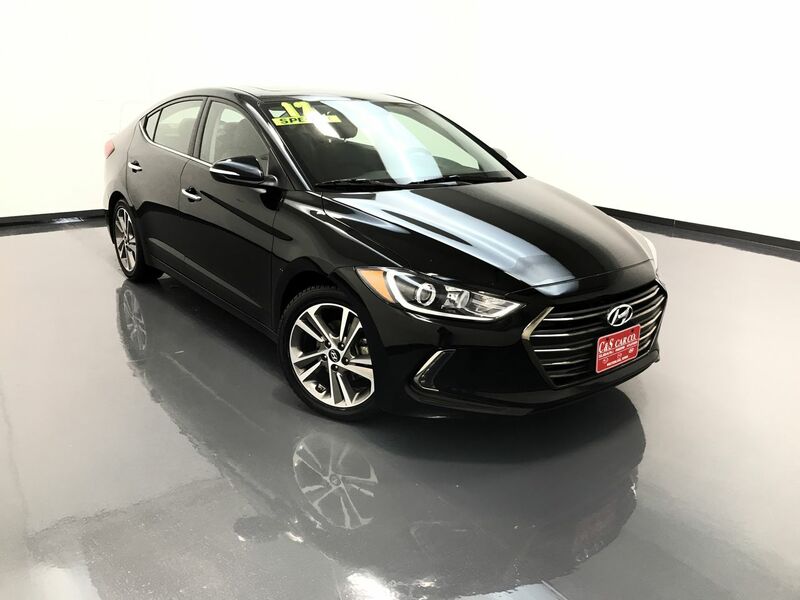 This ELANTRA LIMITED sedan has a leather interior with 4 heated seats, a power driver's seat, keyless entry and ignition, traction control with anti-lock brakes, dual climate controls, a sunroof, blind spot detection, a back up camera, and a trunk net. The infotainment system has navigation, an AM/FM sound system, XM satellite radio, and Bluetooth connectivity. The exterior features 17" alloy wheels with Firestone tires. **One Owner** Call C & S Hyundai toll free at 866-212-8718 or locally at 319-291-7321.